The Ab Initio Developer will be responsible for working on Data quality project using the latest technologies from Ab Initio corp (Meta-Hub, Express>It etc.). 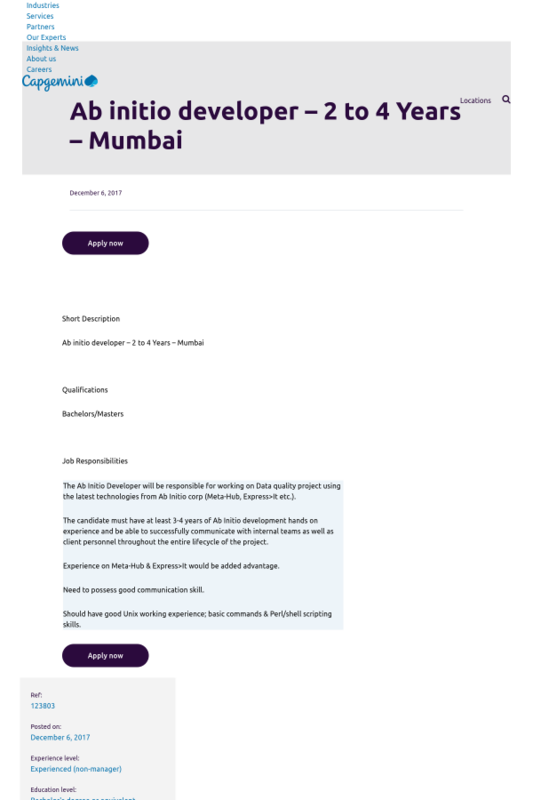 The candidate must have at least 3-4 years of Ab Initio development hands on experience and be able to successfully communicate with internal teams as well as client personnel throughout the entire lifecycle of the project. Experience on Meta-Hub & Express>It would be added advantage. Need to possess good communication skill. Should have good Unix working experience; basic commands & Perl/shell scripting skills.